We’re excited to announce a new Swagbucks Member Recognition Program, which we’ll launch in the next 45 days. And today only, on our 11th birthday, we are accepting pre-enrollment in the Program (NOTE ADDED March 20, 2019: Pre-Enrollment was only open on the Swagbucks 11th Birthday, which was Feb. 26, 2019). The Program will recognize and celebrate Members’ loyalty to Swagbucks, based on lifetime SB earned. 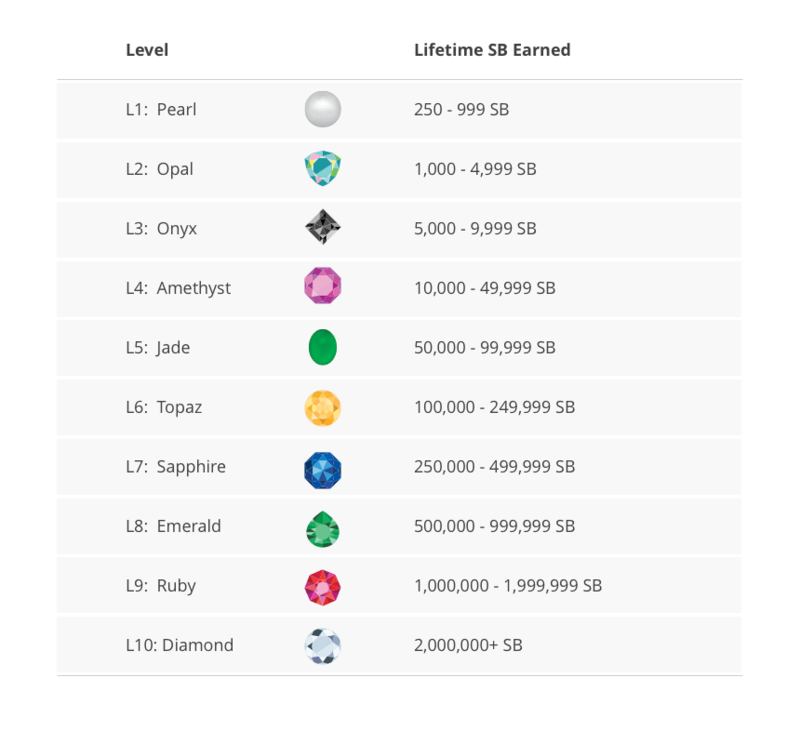 There are 10 Levels of recognition, ranging from Pearl to Diamond. A set of rewarding benefits will accompany each Level. And, as Members work their way through the Recognition Levels, they will enjoy each Level’s corresponding benefits. If you are as excited about this program as we are, we invite you to pre-enroll today only.